We’ve even started making rustic light fixtures for our store using these jars too. People love them because of the woodsy look and feel. Mounted on slabs of real tree bark, they’re perfect for cabins or for homes with country decor. There are all types of rustic decorating ideas for your home using lighting. For example, you can create “designer” jars with strings of lights stuffed inside. These make great nightlights for kids’ rooms or a source of ambient light for any room in the house. One of the most popular types of lighting is a simple candle inside a mason jar. You can buy mason jars with candles already in them, and once you burn down the candle, replace it or clean out the jar and use it for a different source of lighting. You can come up with even more rustic decorating ideas by repurposing used mason jars too. You can fill them with dried flowers or potpourri and set them around your house. More decorative types of popular light fixtures are chandeliers. Chandeliers are ceiling-mounted and people are creating their own decorative designs to hang mason jars from the fixture with the light bulbs inside. You can make your own using new or used restoration hardware, like vintage chandelier fixtures and lighting kits. As long as the chandelier arms spread far apart enough, you can retrofit an existing chandelier to mount the jar lid to the fixture and screw the jar onto it. Outdoor lighting using canning jars is good for the warmer climates or warmer seasons because these jars may shatter in the cold weather. But for a cooler spring or summer evening outdoors, you can use them with citronella oil and a floating candle for outdoor lighting that will also keep the bugs away. A couple of rustic decorating ideas for the south or warmer climates is to make designer lights for your patio or porch lights. 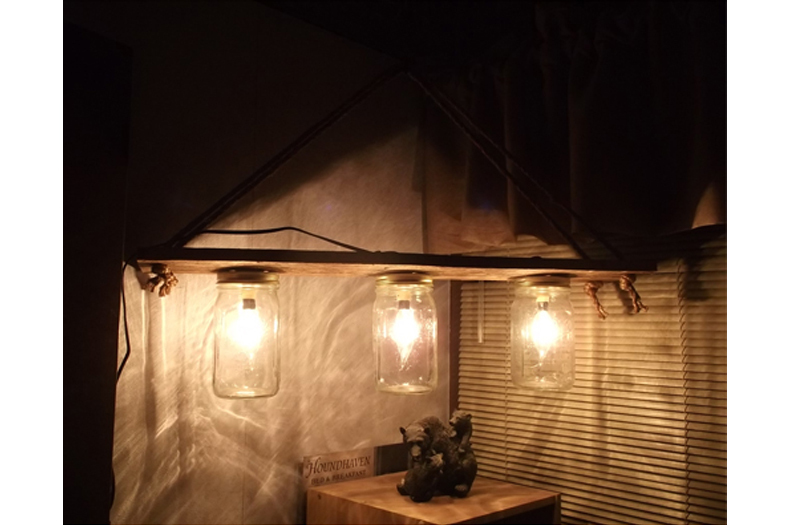 Just mount the mason jars on your existing porch light fixtures or create your own. You can buy lamp lighting kits online that are designed just for turning canning jars into lights. 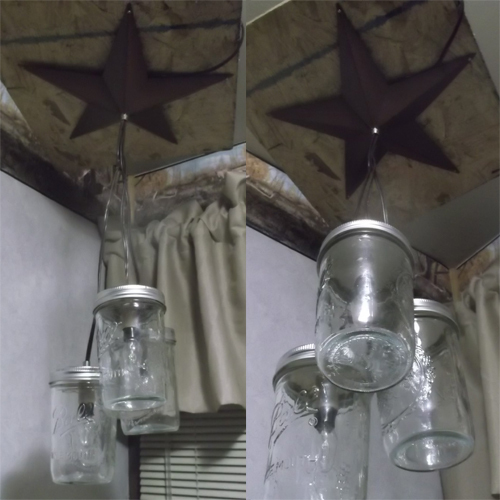 Depending on the type of light or lamp you’re planning on making, you can get lamp kits to convert just about anything to use with a mason jar. For instance, you can buy a kit to make an oil lamp or a zinc canning jar lamp kit that will help you convert ordinary lighting fixtures into a decorative piece that will also add some awesomeness to your home decorating. For example, another popular idea is to convert the lighting over your bathroom or kitchen sink to use with mason jars. It also makes a nice impression on your guests. If you do a search online and go through the images, you can get a lot more rustic decorating ideas for your home. Some of the pictures can even help you come up with your own designs and creations.